If the mortar is not gray, then a dye was used. Take a small sample of the mortar, bring it to the nearest brickyard, and ask them to match the color for you. If the mortar is gray, you might be able to get a close match with the premixed bags of mortar. The following steps are how to attempt an exact color match. Take a couple small buckets and add proportions of lime and Portland cement. Keep close track of how much of each you put in each bucket. Adding more lime will make the mortar lighter and adding more Portland cement will make it darker. Take two larger buckets with equal proportions of sand in them. 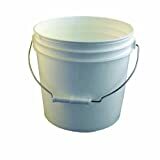 Add the smaller buckets with the different lime/Portland cement mixtures to the buckets of sand and mix them with the trowel. Add a little bit of water to each bucket and mix up the mortar. Add more water as necessary until the mortar is roughly an oatmeal texture. Scoop out a small amount of each mixture onto the scrap wood with the trowel and very carefully peel back the blob so only a thin layer is on the wood. This will allow the mortar to dry faster. Allow the mortar to dry and compare it to the joints requiring repointing. Keeping in mind that the mortar will continue to get lighter as it dries, pick the mixture that matches the mortar best. Use the same proportions as the ones you originally wrote down to mix a larger batch of mortar and begin repointing. Matching mortar can be a trial-and-error job. Keep track of the quantities of lime, sand, and Portland cement used in each test sample and let each sample dry before matching it to the mortar being repointed. If the mortar is not gray, then it has a dye added to it. Locate the nearest brickyard and ask someone there to help match the color. Most of the materials required for matching and making mortar and also for repointing can be found at home centers and brickyards. Expert assistance for this segment was provided by MJM Masonry.